Bovada Casino Review 2019 - FREE $3000 Bovada.lv Bonus! Visit Bovada Casino Get Your Bonus! Bovada Casino welcomes US players. Fully licensed and regulated. Bovada's Services are provided by Morris Mohawk Gaming Group The casino is powered by Real Time Gaming software, a respected name in the online casino industry. Safe & secure banking methods ? All legitimate, real-money online casinos like Bovada Casino have strict anti-fraud screens, and that may create a short withdrawal delay. Bovada Casino are offering a great welcome bonus. They'll match your first three deposits at 100% allowing you to earn up to $3000 in bonus cash. ? The bonus applies to your first deposit only. Please read the terms and conditions carefully and make sure to take full advantage of the bonus offer. Bovada Casino is part of a large gambling site that also incorporates poker, sports betting, and horseracing. This review is specifically of the Bovada Casino. 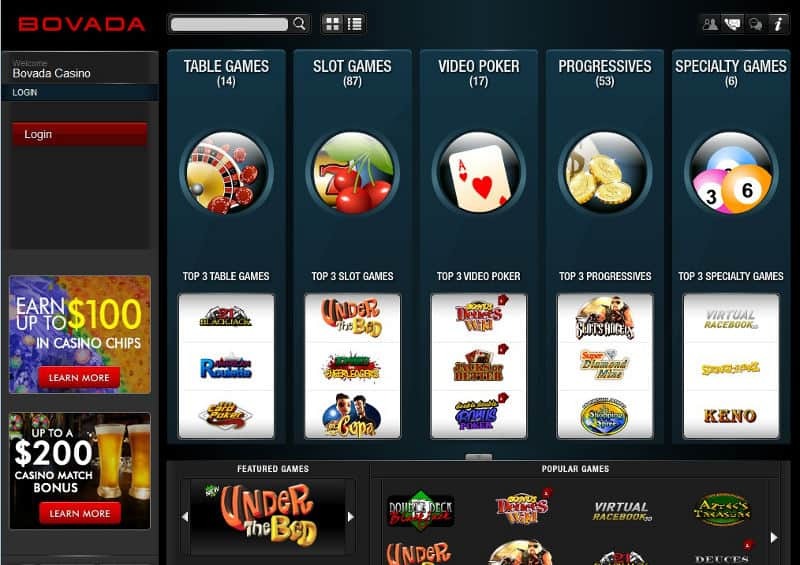 The name Bovada is a blend of Bodog, the well known gambling site it is patterned after, and Nevada. 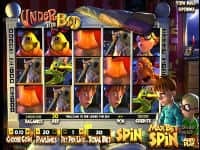 Since Bodog enjoyed an excellent reputation as a safe and secure place to play, going all the way back to 1995, the link lends credibility to the Bovada name, too, even though the casino was only established in 2011. The other big news about Bovada is that U.S. residents are legally allowed to play there. Most of the better online casinos are not open to players from the U.S. at all, so Bovada fills a big gap in providing quality gaming for the many people living here who, for one reason or another, might find it much more convenient to play online than travel long distances to a casino. Bovada is licensed by the Kahnawake Gaming Commission, and services are provided by Morris Mohawk Gaming Group. The casino is powered by Real Time Gaming software, a respected name in the online casino industry. Technical Systems Testing has independently tested and certified all of the games for fairness. Bovada supports Responsible Gaming by denying access to players under age 18 and advising those with a money management or gambling problem on where to get help. The easy-to-install software can be quickly downloaded onto your computer. Or, if you prefer, you can use the no-download flash version. Bovada is also compatible with mobile devices. 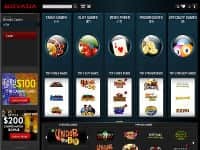 Few experiences can match the thrill of taking your seat at a live casino game table, and Bovada have produced a live casino experience that brings the unique casino atmosphere into your home. Their Live Casino option lets you play many classic table games while interacting with other players and with the friendly Live Casino dealers. Bovada offer four casino games for players to play live. Their live dealer Blackjack tables accommodate seven players and allow you to interact with the dealer throughout. They also offer multiple variants of Roulette, Baccarat and Super 6. The overall experience of the Live Casino is truly immersive, and as you chat to the dealers and listen to the authentic sounds of the roulette wheel spinning, you will really feel as though you are sitting in a high class Monte Carlo or Las Vegas casino. 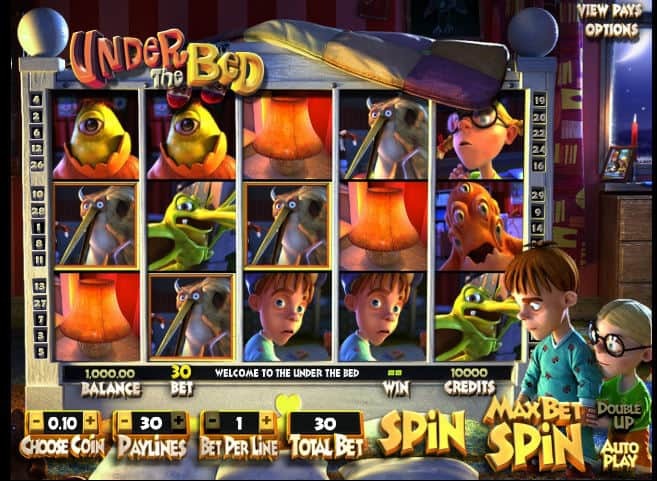 As with all of the online casinos open to U.S. players, banking options are limited. But it is to Bovada's credit that they have been able to speed up the process. Instead of having to wait for 10 days for their withdrawals to be processed, Bovada's U.S. players can access their money via Moneygram or Western Union within 24-48 hours or by check sent Fed Ex in 3-7 business days. The one negative is the cost. If you have a banking issue or other casino related concern, customer support is available 24/7 via live chat, phone, or email. Bovada Casino follows the tradition of offering all new customers from Cardschat.com a Welcome Bonus. The catch is that you can't just accept the bonus and do as you please with it. Strict play through requirements must be followed to the letter before you can even access your associated winnings. At Bovada, as at most casinos, both the bonus and your own contribution to the game (deposit or chip purchase) count in determining the amount of play required. But one nice thing here is that when all is said in done, the bonus is cashable, too. At many casinos, the bonus is for playing purposes only and never yours to keep. This bonus is valid for slot play only. All players receive comp points for their play. However, some games reward players at a faster rate. For example, regular (non-VIP) slot players receive 1 point for every $3.33 being wagered, but it will take a $10 bet to get 1 point playing blackjack or video poker. It takes 100 points to earn just $1 towards credit back into your account, but VIP players earn their comp points twice as fast. Qualifying players are invited to join the VIP "Red Room," entitling them to all kinds of special privileges and rewards like personalized service, exclusive prizes and drawings, bigger and more frequent bonuses, and invitations to special events. One example of a reward actually given out is a 35% reload bonus all day on Super Bowl Sunday VIP players also receive 100% deposit match bonuses on their first deposit of the week (subject to play through requirements), have their fees covered on credit card deposits, and expedited withdrawal processing. Top level players receive all expenses paid trips to the Super Bowl, March Madness, and other special events. At Bovada, special promotions are always going on, like Blackjack Sundays, Video Poker Wednesdays, and Happy Hour Thursdays for anyone to take advantage of, not just VIPs. Play blackjack on Sunday and get a $21 bonus for your first blackjack of the day, and also, with every blackjack, get an entry into a drawing for a chance to win $2,100. Then play video poker on Wednesday. For every $52 wagered, you get 1 entry into a drawing for $520. Earn 52 entries and receive a $52 bonus! Thursday is Happy Hour all day long. No drinks are on the house, but the casino will match your deposit 100% (For these and other bonuses, check the rules regarding play through requirements for withdrawal). Lastly, Refer a Friend to enjoy all these Exciting Extras, too, and the casino will hand out a special bonus for both of you! Games:Slots, Video Poker, Blackjack, Roulette, Craps, Baccarat, Keno, 3 Card Poker, 3 Card Rummy, Caribbean Poker, Pai Gow, Sic Bo, Red Dog, Casino War, Bonus Bingo, Let'em Ride, Poker (in separate poker room), Sports betting (in separate sports book) & more! Join Bovada Casino and earn up to $3000!